Alex Scotchbrook has accomplished a lot since first taking the plunge into franchising. 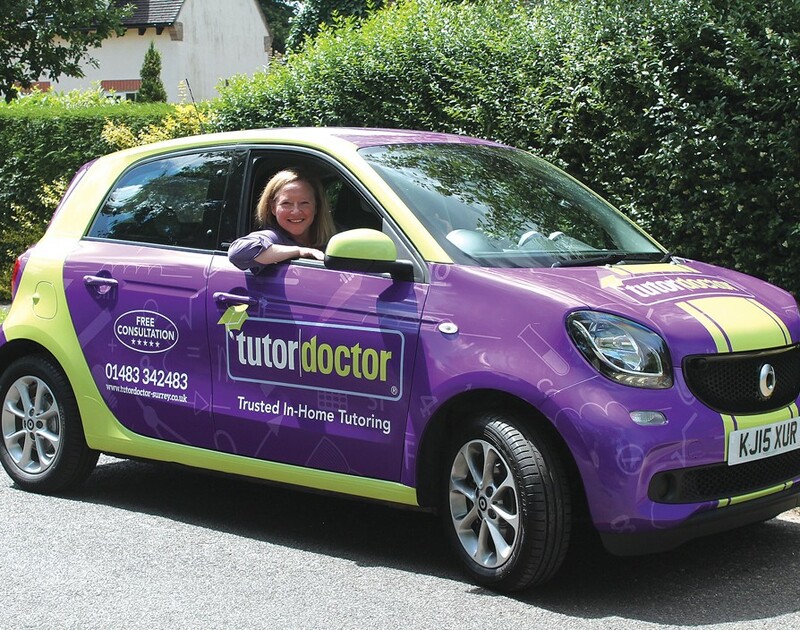 Not only was she the first British franchisee to join Tutor Doctor, the home-tutoring company, but she’s also been a finalist for the bfa HSBC Female Franchisee of the Year award twice. However, launching a company of her own was the furthest thing from her mind when she was made redundant from her job at IBM in 2009. “When the redundancy happened it felt like my life was over,” says Scotchbrook. Fortunately, it would prove to be a blessing in disguise. Having worked as a coach at the tech giant, she loved helping others grow. So when a friend suggested that working for ActionCOACH, the business-coaching franchise, might be something for her, Scotchbrook decided to check out one of their discovery days. “And that was the first time I really heard about franchising,” she says. “Obviously I knew about McDonald’s but I didn’t realise that franchising could translate to so many sectors.” However, it wasn’t the only revelation she’d enjoy during that discovery day: Scotchbrook also had the pleasure of meeting a franchise broker evaluating the company to see if it was something that he’d like to add to his brokerage. “And I asked him what else he had,” Scotchbrook said. He replied by talking about a new Canadian franchise looking to break into the UK market: Tutor Doctor. And the more Scotchbrook heard about the company, the more excited she became about the prospect of joining it. “I loved everything about the model,” she says. She was particularly thrilled about the opportunity to move away from coaching grown-ups. “When you teach adults they always have this blockage where they say ‘I can’t do that’, ‘this is how I’ve always done it’ or ‘that’s just me’ and you don’t get that with children,” says Scotchbrook. However, recognising that she was breaking new ground by joining the new franchise, she made sure to tread carefully before signing on the dotted line. “Because there wasn’t a franchisee in the UK – they were all in Canada – I couldn’t meet them face to face,” she says. “And I remember my cynical father-in-law saying that they could be actors or con artists.” Fortunately, Tutor Doctor recognised her dilemma and ensured she could speak not only with the president and founder Frank Milner but also every person in the company that could help make up her mind. These conversations had two benefits: the first was that they provided Scotchbrook with the opportunity to hear more about the business model, while the second was that it enabled the franchisor to gauge whether or not Scotchbrook was the candidate the company had been looking for. “They were checking me out as much as I was checking them out,” she says. “Tutor Doctor knew that if their first franchisee didn’t work then no one would follow me. So I felt very much under the magnifying glass.” With both parties satisfied with their due diligence, they signed the franchisee agreement. And before the ink on the contract had even dried, Scotchbrook booked a flight to Canada to begin her training at Tutor Doctor’s headquarters. “It was a week long and very hands-on,” says Scotchbrook. From Monday to Friday, the franchisor drilled her and the other new franchisees from around the world on how to follow the operations manual, had them sit in during consultations with parents, taught them how to market their business and engaged in roleplaying with them. “That way we had the chance to mess it up among ourselves first before doing it for real,” she says. Invigorated by the training, Scotchbrook returned to the UK to begin her adventure in franchising. The success allowed her to grow her company by buying not just one but three more territories. However, the growth hasn’t come without its challenges. “My husband and I did everything when we started,” she says. “And that was fine until we had over 120 customers. By then we needed help.” In order to meet the growing demand, Scotchbrook hired a full-time staff to do everything from HR to IT, enabling her to focus on taking the company to next level. And the franchisee’s efforts have not gone unnoticed. Not only has she consistently been named one of Tutor Doctor’s most successful franchisees but she was also nominated for the bfa HSBC Female Franchisee of the Year award in 2013 and 2016. Not bad considering that she started out wondering if her phone would ever ring at all. “It’s gone from night to day,” she says. And as her franchise grew, so did Tutor Doctor’s operations in Britain. “It’s tremendous because now it feels like I’m really a part of a team,” she says. Given that she was the first franchisee on these shores, it’s hardly surprising that she has spent a lot of time talking with entrepreneurs considering joining the network. But while she tells them that becoming a Tutor Doctor franchisee will mean more work than they can possibly imagine, it’s really rewarding. “Where else does a mother tell you her daughter went to school with a smile for the first time thanks to your tutors?” she says. Despite the joy of helping students achieve their goals, Scotchbrook isn’t sure what her future with Tutor Doctor will look like. “I’m going back and forth,” she says. “One of my territories will expire after ten years and I’ve been thinking about selling my entire franchise when it does.” Nevertheless, whether she decides to exit or not, it’s safe to say that Scotchbrook is satisfied with the opportunity franchising has given her. “This business, it’s something that I can say that I built by myself,” she concludes.